and is transferred to another surface, such as: t-shirts, ceramic mugs, clipboards, and metal plates. 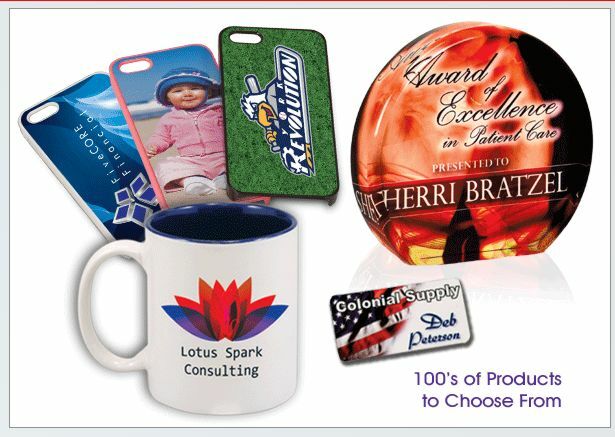 These items can all be personalized with your artwork and/or wording. They are all made in house and quantities as low as 1 piece can be imprinted. Speedy Awards and Engraving, Inc. Copyright © 2019 - Speedy Awards and Engraving, Inc.